Anastasiia, She folds her memories like a parachute is a declaration of love, from a Kyivan student to her foreign lover and her native land, Ukraine. 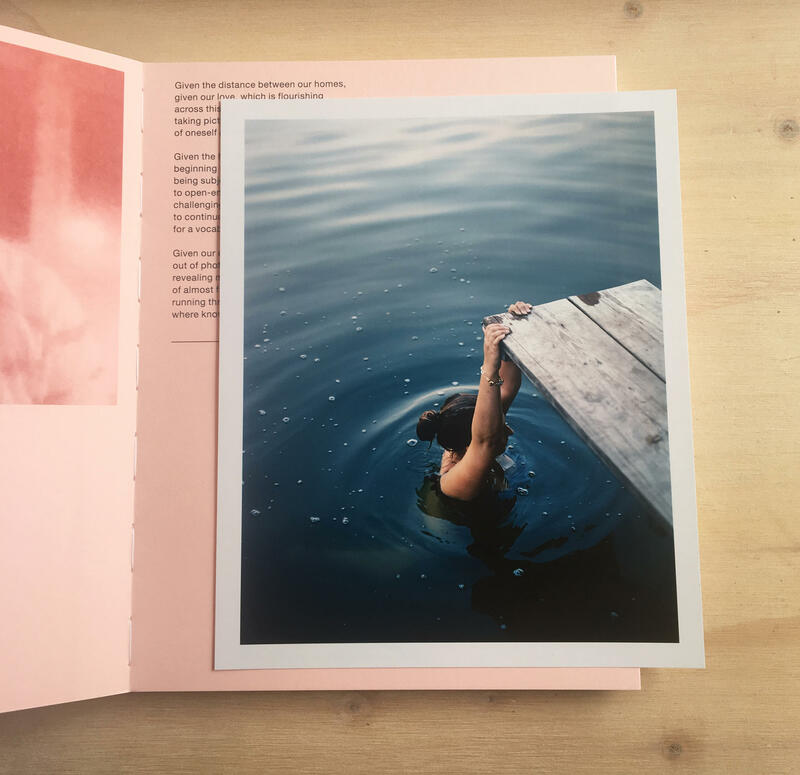 Through parallel streams of documentary photographs, Skype-screenshots and texts, a dialogue between Anastasiia and her lover, photographer Christian van der Kooy, is reconstructed. The photo book covers a period of two years. Anastasiia’s poetical narrative is above all an interpretation and exploration of her everyday life and a reflection on intimacy in times of the Russian annexation and information warfare. Van der Kooy depicts the relationship between Anastasiia and her surroundings – she is rooted in the landscape and the landscape in her. By conveying her memories, Anastasiia’s narrative sheds its very own light on the landscape by opening up new perspectives, and by demonstrating the creative way Ukrainian people deal with recent events in Kyiv, Odessa and Crimea. This special edition of the book is exclusively for sale at Foam Editions. Christian van der Kooy (1983, NL) studied at the Royal Academy of Art in The Hague. His work consists of documentary photography, short films and soundscapes. For the past ten years, Van der Kooy has been working on several long-term projects in Eastern Europe. Analysing and interpreting reality, by creating a new context, has become the keynote of his process. Sense of place lies at the heart of his work. He is particularly interested in the interaction of people with their surroundings, with the landscape: spaces of coexistence where a personal history generates cultural and social transformations. Most photographs have a small white border around all sides. For a framer this border is necessary to be able to frame it properly. The print will be carefully wrapped and send as an insured package. You will receive an e-mail with a Track & Trace code when the package is on its way. A framed copy is often on display at Foam Editions, the gallery on the third floor of Foam Fotografiemuseum.